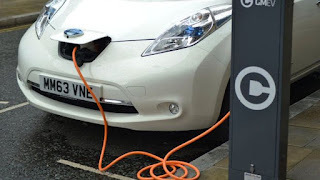 New funding of more than £100m to develop low and zero-emission vehicles in the UK has been announced by Theresa May. The prime minister told the Zero Emission Vehicle Summit in Birmingham she wanted Britain to be a leader in green technology. The £106m funding boost will also cover research and development for new battery and hydrogen technology. Mrs May said the government had an "ambitious mission". "Our Road to Zero Strategy is the most comprehensive plan globally - mapping out in detail how we will reach our target for all new cars and vans to be effectively zero-emission by 2040," she said. "These measures will drive the design, use, uptake and infrastructure necessary for cleaner, greener vehicles - and in doing so, it will help us drastically reduce a major contributor to our global warming emissions."